The TIBURON Backpack is an ergonomic pack with quick release yoke-style straps. There is a top zippered slip pocket with a loop field for patch adhesion, a front admin pocket for added organization, two (2) zippered side pockets, a middle tech compartment, and a fully opening & lockable middle compartment. The middle tech compartment has a padded pocket sized to fit a 13" laptop and most tablets. The main compartment has a hydration reservoir, and there are dual hydration tube ports. The overall volume of the pack is 2075 cubic inches (34 liters). The overall size is 20 (L) x 9 (W) x 20 (H) inches. The overall volume of the pack is 2075 cubic inches. Shapeshift handles have been added for a more comfortable carry. 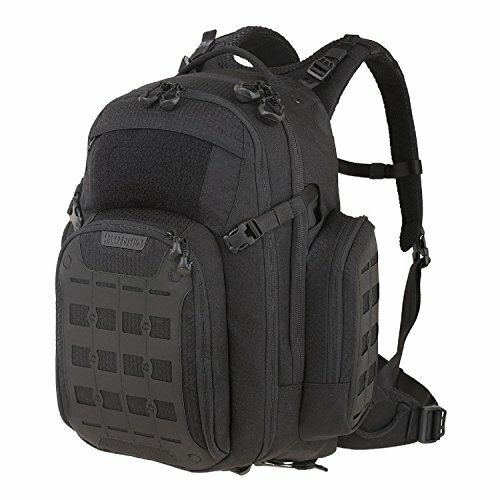 Ergonomic backpack with quick release yoke-style straps come standard, along with an adjustable sternum strap. There is also a stowable and padded waist belt with gear loops. The middle tech compartment has a padded pocket sized to fit a 13" laptop and most tablets. There are also pouches and a Gossamer mesh pocket for organization. The bottom of the pack has a hidden pocket to store a rain cover (sold separately). The rear of the pack has multiple layers of padding, allowing for maximum air flow and comfortable carry.